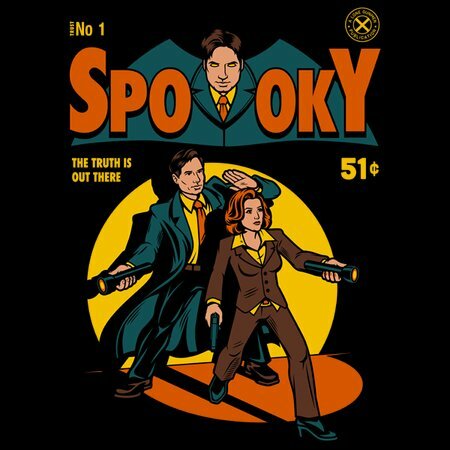 He earned the nickname Spooky while chasing ghosts, aliens and other paranormal creatures in search of his long lost sister, and despite the X across her partner’s file Dana found him to be an excellent FBI agent and a caring friend. 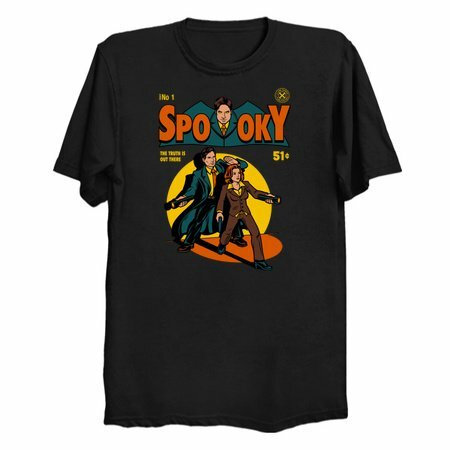 Their adventures into the unknown are legendary, and now you can tell the world I want to believe with this Spooky Comic t-shirt by Harebrained Design. Like a fox down a rabbit hole your life will become part of a mystery with extraterrestrial origins, and even those conspiracy puppet masters who are always smoking won’t be able to stop you from sharing your good fashion sense with the world!